Having a castle wedding is a dream of many brides. After all, seeing all those Disney movies since we were a child affected us all… Let’s face it: castles, prince charming and happily ever after are basics. Who doesn’t want that? Although it looks like a fairy tale, this is not so far away of reality. 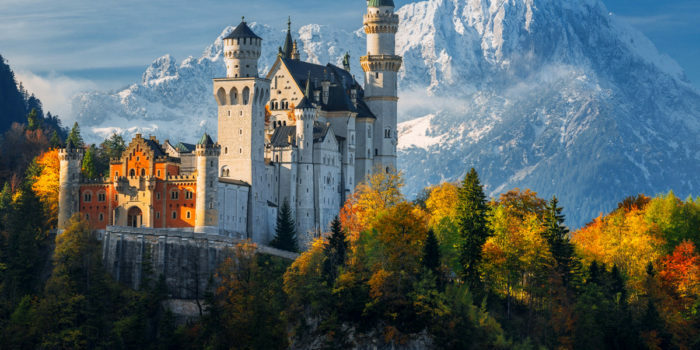 If you read the post about the reasons you should have a destination wedding in Germany, you already know that one of these Disney castles we saw in the movie was inspired in the amazing Neuschwanstein in Germany. And this is a country with more than 25.000 castles, mostly of which are available for celebrating your big day. Ok, I know, 25.000 might be too many for you. 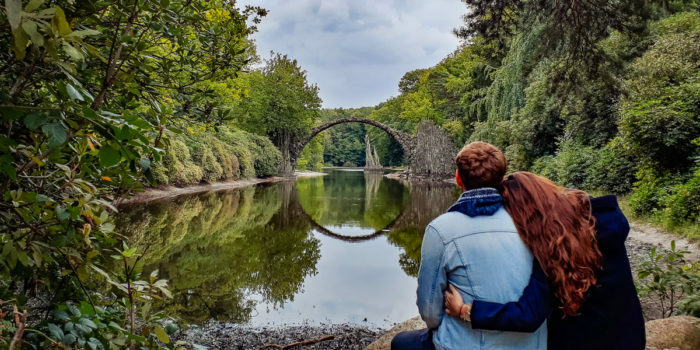 That’s why we decided to put together our favorite castles to get married in Germany (until now). Classic elegance, stylish ambience and high-quality equipment. The 18th-century castle is one of the city’s most popular historical venues. And it’s not hard to understand why: beautiful purple flowers and a lake surrounds the outside of Schloss Benrath, making the view amazing. Inside, you have the elegant Dome Hall available to be booked for the ceremony on Wednesdays and Thursdays at 12.00 and at 13.00. After the ceremony you can still take photos inside and rent the terrace for a champagne reception or simply rent a room from the premises. It’s a complete experience! The festively decorated domed hall with a view of the castle park is an unique wedding location in Ludwigsburg. 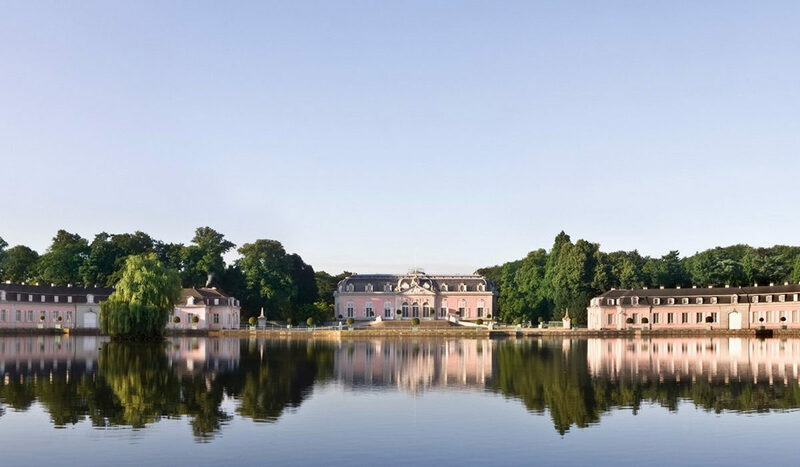 Surrounded by 250 hectares of beautiful nature, the baroque Seeschloss Monrepos is located in the domain of the house Württemberg. 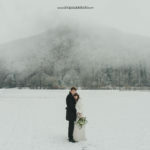 Only 20km from the center of the Baden-Württemberg state capital Stuttgart, it is the perfect location for unique wedding celebrations. No matter if you want to have a marriage proposal, a civil lunch, a big Wedding celebration or an anniversary wedding day. The event team will help you plan and organize everything: delicious food, fine wines and drinks, decoration, music, entertainment, wedding carriage, fireworks and many more special details for you and your guests. Practicality and beauty put together in a way that will guarantee your big day to be an unforgettable event. Are you looking for a wedding in an unforgettable atmosphere and with an idyllic view? 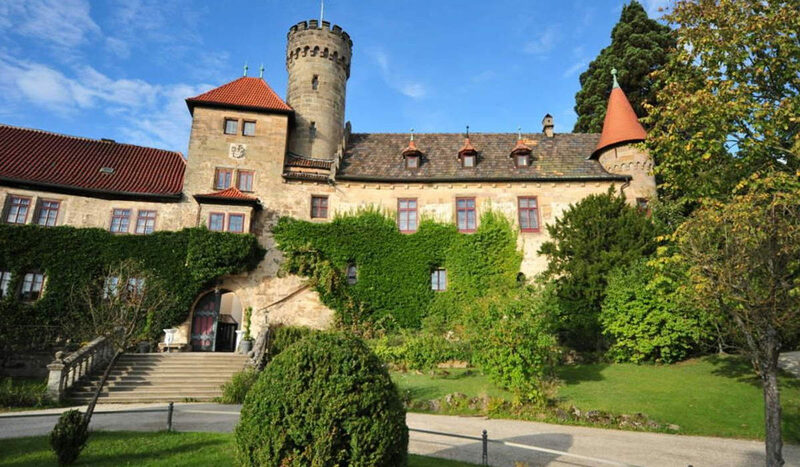 Considered one of the most beautiful castles in Baden-Württemberg, Schloss Solitude might be the perfect place for you. Duke Carl Eugen built this precious castle in the 18th century filled with his extraordinary tastes of a cheerful landlord. You can choose between the exquisite White Room, the spectacular outdoor area on the Solitude or even use the castle’s own historic chapel. The hard part will be to choose just one! Surrounded by lush meadows and dense forests, just a few kilometers from Coburg, you can find the Schlosshotel Hohenstein. 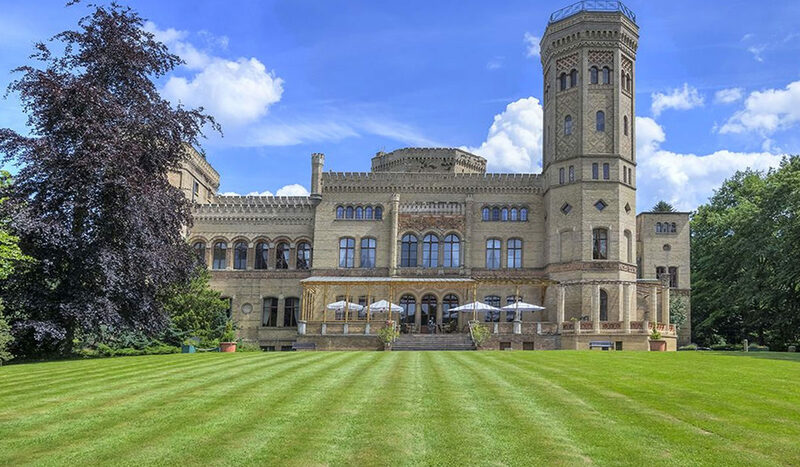 This breath-taking fairytale castle dates back to the 13th century and encloses a hotel with two stylish restaurants, six historic rooms and 15 individual hotel rooms and suites. The different historical rooms, such as the Hall of Mirrors, the Music Salon and the Garden Room, are ideal for hosting events of those who want to create an unforgettable atmosphere. 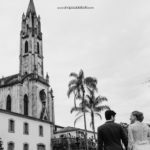 To contribute to that, the castle is located in a fabulous scenery and it is surrounded by a romantic park with its own chapel that can be rented for the ceremony. There, it’s possible to accommodate up to 120 people. The excellent gastronomy will make you even more excited when you think about your unforgettable party. If you are looking for an exclusive place, this romantic restored castle is a great option for you! For centuries, Callenberg Castle has been the setting for engagements and weddings. The stunning castle offers an exceptionally beautiful and historical setting for the big day. In 1932, Princess Sibylla of Saxe-Coburg and Gotha got engaged to the future Crown Prince of Sweden in the Red Salon. Prince Hubertus celebrated his engagement in the Beletage in 2008 and got married in the Salon Belvedere in 2009. It’s not hard to understand why so many royal people choose this place. The elegant rooms at Schloss Callenberg offer such a magical atmosphere that almost every wish of the wedding arrangement can be met. Church weddings can be planned in the beautiful 400 year old chapel that has seating places for 160 guests. 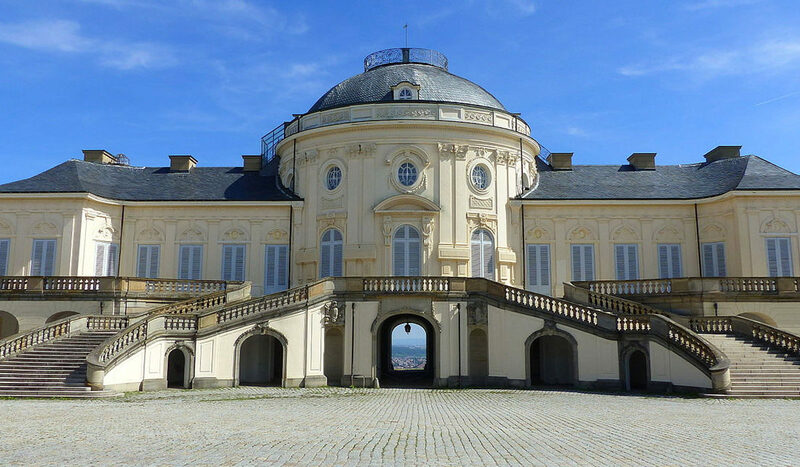 Civil marriages may be held in the Salon Belvedere, in a dome with stained glass windows. The Red Salon and Rose Garden create a particularly attractive for up to 70 people seated. On the second floor of this amazing venue, is the Beletage with a large balcony, which offers a wonderful view of the rose garden and the breathtaking surroundings. And the three stylish rooms of the Beletage can accommodate up to 100 guests. This is definitely one of my favorite castles to get married in Germany. Have you ever thought about getting married in an historical chapel? Or having romantic stand-up reception on a palace terrace? Maybe a lively party with dancing in a magnificent ballroom? 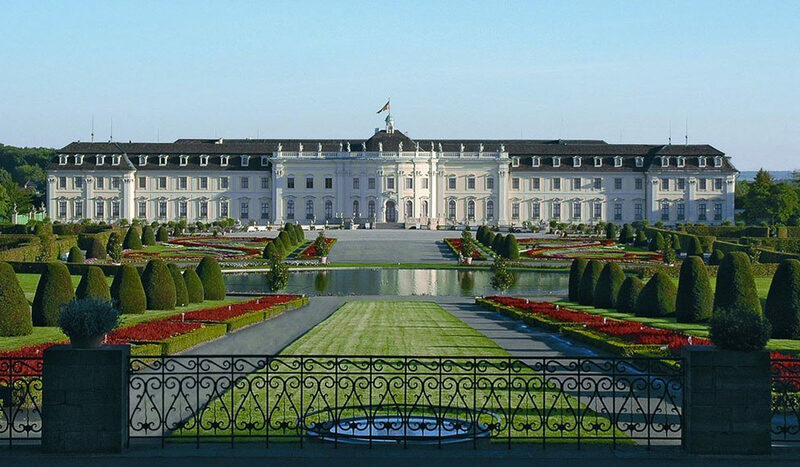 Residenzschloss Ludwigsburg offer plenty of choices if you dream about a gorgeous wedding venue for your big day. In the elegant pavilion, you can have the bureaucratic blessing. If you look for a church wedding, you have two options to decide from. The castle terrace or the historical room will be ready for whatever you decide to come next. There is no way to go wrong with this luxurious castle and its surroundings. 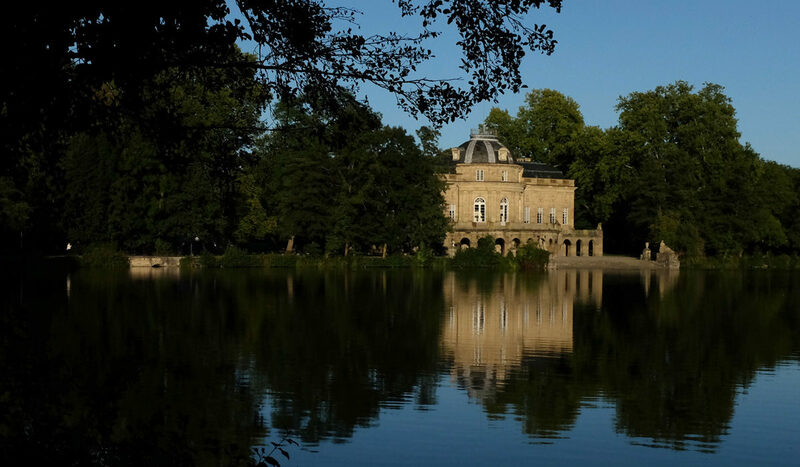 In the northern part of the district Recklinghausen, lies the delightful Wasserschloss Lembeck. The castle lies on two islands surrounded by a large moat. The buildings are lined up along a passable east-west axis of about 500m length, which is a rare concept in Baroque architecture. Surrounded by beautiful forests and water-rich meadows of a beautiful nature park, the castle presents itself as a great option to hold a destination wedding. In the private chapel Lembeck St. Blasius, you can plan a Catholic ceremony fot 30 to 40 people. Civil ceremonies are also possible to take place on the first Saturday and every third Friday of the month, in the Merveldt Gallery. In the Schlaun’schen Festsaal you can invite guests for your wedding reception or a festive banquet for up to 108 people. Almost too good to be true! 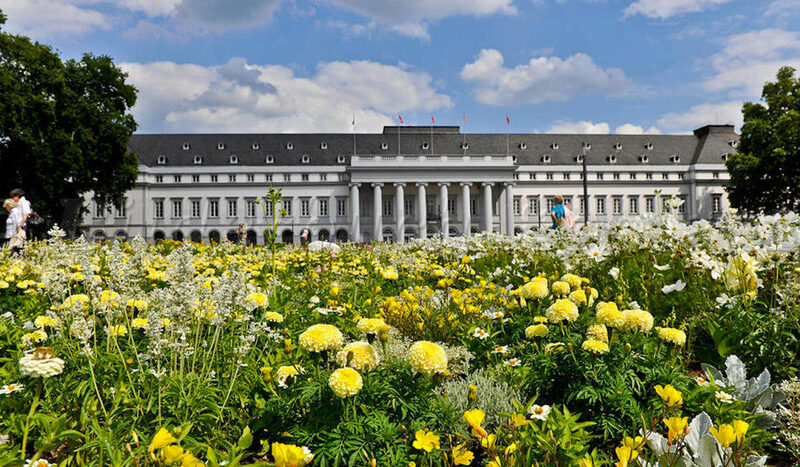 A place full of historical memories, the Kurstfürstlichen Schloss Koblenz was a place where princes and princesses once resided. The official residence of the Prussian royal family was also inhabited, in the middle of the 19th century, by the later German Kaiser Wilhelm I with his wife Augusta. 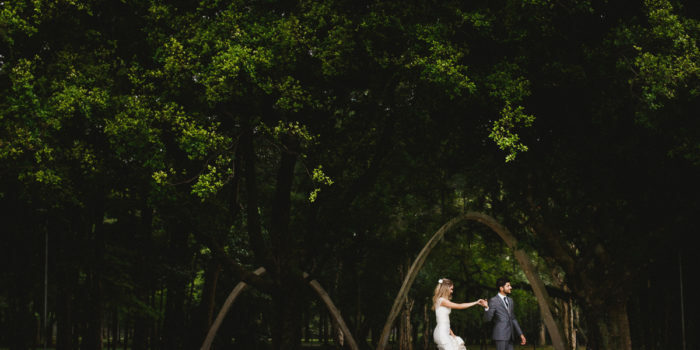 This setting can hardly be more representative, for a romantic and unforgettable wedding. The interior of the magnificent garden was restored in 2011, guarantying that history and modernity to be carefully connected. The rooms are equipped with the latest technology, although still keep all of their princely splendor. The various halls can accommodate small and large weddings comfortably, whether you want to dine in a cozy atmosphere or plan a glittering ball night with hundreds of guests. Civil ceremonies are also offered in the castle since September 2012, making the full experience complete. The small town Neetzow is not so easy to find on the map. But this castle make it worth the work. From the main road you cannot see the Schloss Neetzow hidden behind tall trees, but when you see it, the building is anything but inconspicuous. Build in 1848, in the style of English country homes, it was one of the few constructions preserved during the GDR era. Many items such as the magnificent fireplaces are still original. Upon entering the entrance hall you can still feel the splendor of the old days, specially with figures and ornaments from the Renaissance period. The artful parquet mosaic floor in all rooms is also immediately apparent. The view from the gallery into the circular space is particularly fascinating. 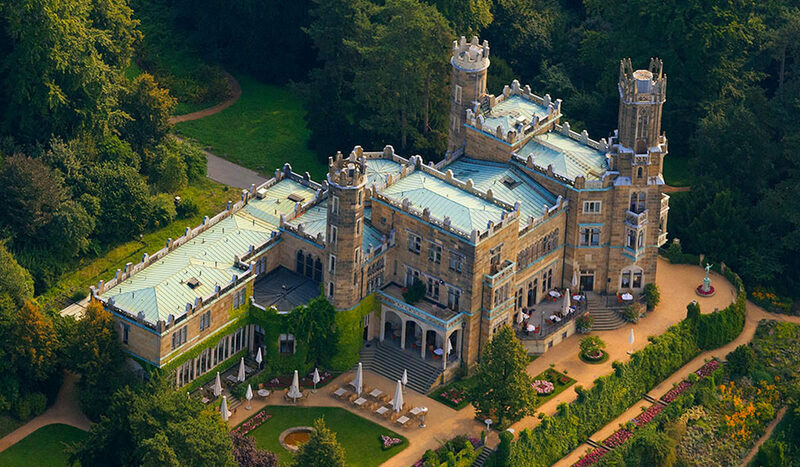 Also, the Neetzow Castle is surrounded by a natural landscape park, which is protected by foreign woody plants, and a lake. 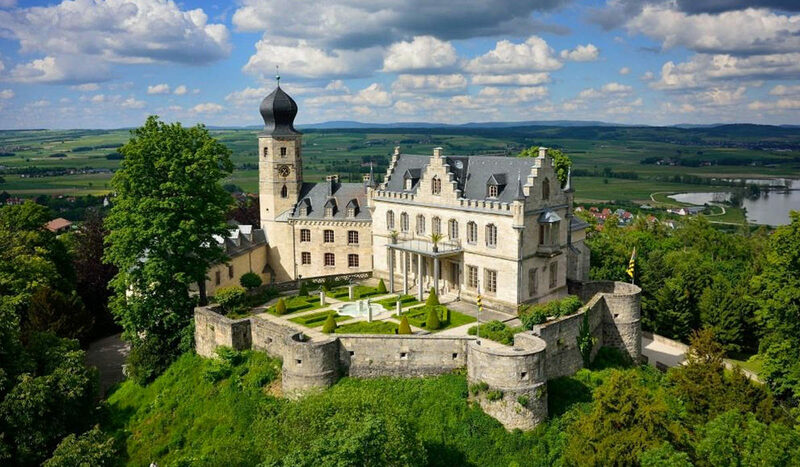 This fabulous castle is ideal for elopement in Germany or for a great wedding. In quiet surroundings, you can get married like prince and princess. The restaurants offers a romantic atmosphere for up to 85 guests. The intimate ambience is enhanced by the beautiful wooden ceiling and attractive furniture. And you still have guest rooms for those who want to spend the night. It’s hard to decide one of these venues for a destination wedding in Germany. 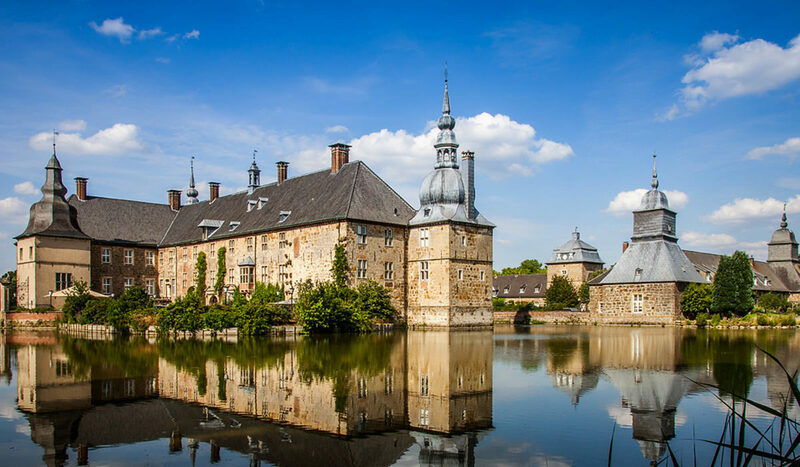 In the end, it’s not so easy to list the most beautiful castles to get married in Germany, since there are so many options… But these wedding venues are definitely something to think about! Can you imagine how many gorgeous photos we can make in those fabulous castles? I can! :) So if you are looking for your destination wedding photographer to register all the beautiful moments you will share in your dream venue for you big day, just contact me. I’ll be happy to talk about how to make your dreams come true!